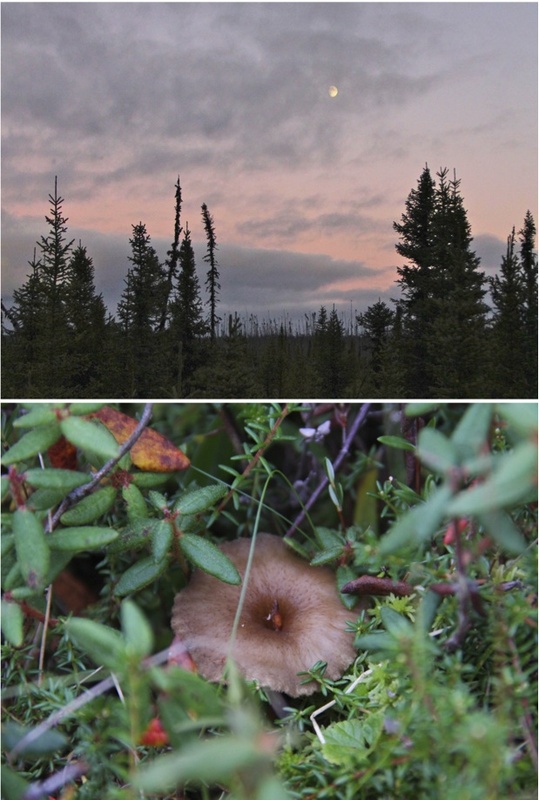 Some friends took us mushroom hunting the other evening. 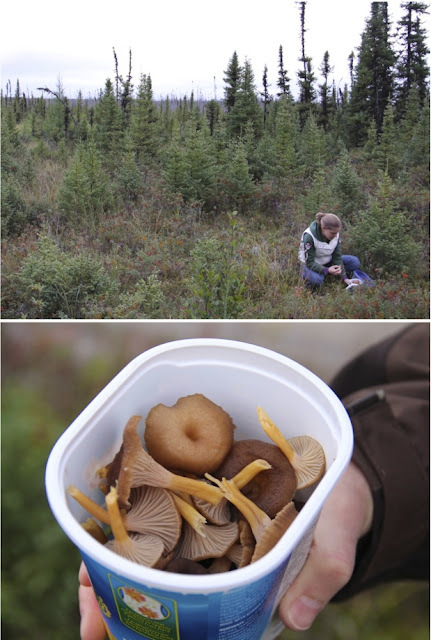 They taught us how to identify the chanterelles and where to find them. It was actually a lot of fun. We picked a bunch of them. It made me feel like we're really "living off the land". And just the other day we picked 2 buckets of wild blueberries and stored them in the freezer for those cold winter weekends. We've turned into real foragers! I've also started sprouting on my windowsil. This is a very rewarding hobby. 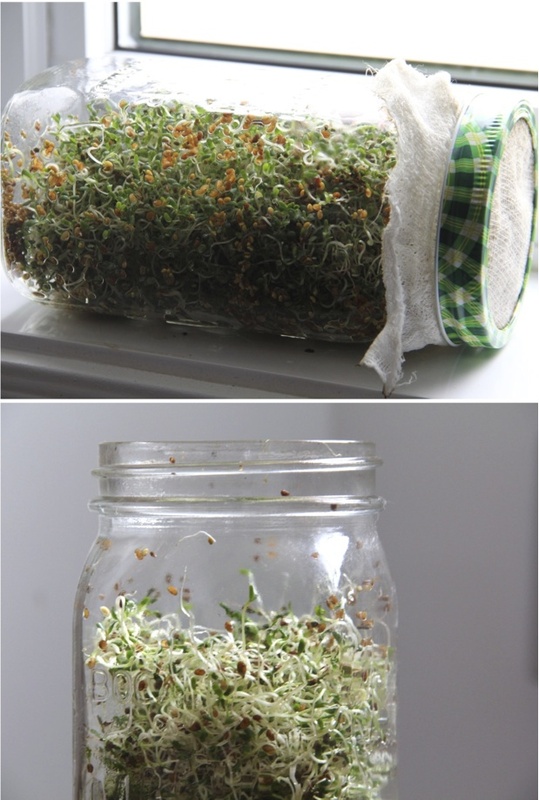 Just a tablespoon of alfalfa seeds and 5 days later you get a ton of sprouty goodness! And Friday we left the north and started the 1450km trip back to Montreal. 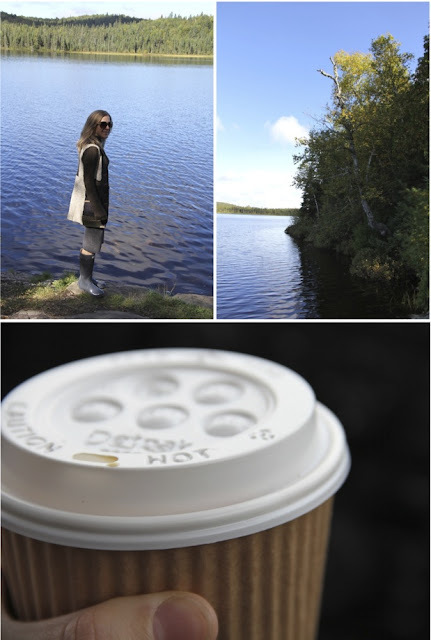 It's a long drive and requires a lot of coffee, but it certainly is beautiful. We have two weeks off now, and we'll be spending the next five days in Portland, Oregon. Busy, busy... but I guess that's the way we like it! I wish you a fabulous weekend. What a beautiful sky in that first picture! I've never picked wild mushrooms before, and I'm sure I'd be able to in the wilds of Western Quebec. You'll have to let me know how you cooked them and if there is any taste difference. I am thoroughly impressed with your foraging skills. Hope you have a great time in Portland!